The Class Association exists to promote and further the interests of the UK J/109 Class in the UK and Ireland and to represent the interest of UK and Irish owners of J/109s. The Association aims to promote one design racing within the UK and Ireland by maintaining a calendar of one design events and maintaining a one design rule for the J/109. But it is also concerned to enhance the enjoyment of J/109 sailing in the UK and Ireland whatever form that may take, racing or cruising, full or short-handed, inshore or offshore and to promote a vibrant social environment for J/109 owners and crews to enjoy. A J/109 owner may become a Full Member of the Association. 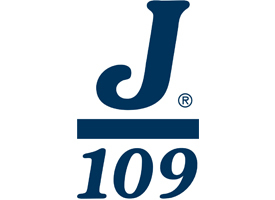 Associate Membership is open to co-owners or those who do not own a J/109. It is necessary to be a member of the class association to participate in any J/109 one-design regatta, whether in your own or a chartered boat.